Washington, May 28 (IANS) An Indian-origin man accused of stabbing his sister 107 times was acquitted of the murder and all other charges Tuesday, a media report said. 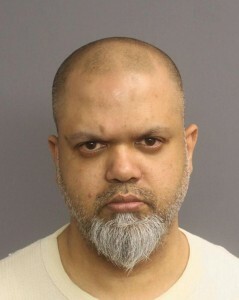 Vishnu Phagoo, 37, was arrested on the charge of stabbing his sister Shrimatie Parasram, 45, to death in her Jersey city home in New Jersey state in north-eastern United States September 2010, The Jersey Journal reported Tuesday. He was subsequently charged with the murder February 2011. Deliberating for less than four hours, a US federal jury pronounced Phagoo “not guilty” on the charges of murder, unlawful possession of a weapon and possession of a weapon for an unlawful purpose. “There was no physical evidence presented during the trial showing Phagoo was in the apartment when the murder occurred. In addition, a medical examiner who testified during the trial did not testify as to when Parasram died,” The Jersey Journal quoted Scott D. Finckenauer, Phagoo’s counsel, as saying Tuesday. “My client is happy that the jury saw that there was no evidence that proved that he did this. I felt comfortable that we were going to get this,” Finckenauer said. Phagoo would, however, remain in jail because he faces an arson charge from a 2009 incident where he allegedly tried to burn down the Jersey City home of a different relative, the report said. Phagoo went over to Parasram’s apartment to sell her a cell phone in a transaction that was previously arranged, the report said. Parasram was later found dead in her apartment.